I’m sorry but I can’t listen to Bach’s beautiful Air from his Orchestral Suite No 3 in D major (the common arrangement of which is called Air on a G String) without thinking of the iconic Hamlet cigar ads from back in the day. There was always something went wrong, whether it was the handle coming off the window winder (remember when cars had windy handles for the windows?) when the car was in the car wash or the man fell out of the window when learning to ballroom dance by following the feet patterns laid out on the floor or the sidecar separated from the motorbike at a fork in the road, everything was calmed down and always made better by a Hamlet cigar. Even when they brought the ads back several years later featuring the Baldy Man, played by Gregor Fisher, the premise was still the same and they were still really funny and worked as adverts because you remember the slogan and the tune. So what of the tune itself? 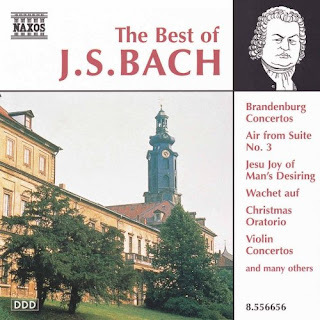 The Air is the second movement from Bach’s suite, written in the first part of the 1700s, and is normally played only on strings and a group of instruments called the basso continuo which, in Baroque era music, provided the chords and low notes to accompany the melody. The arrangement that people know from the adverts is done by a late 19th Century violinist called August Wilhelmj who changed the key of the music from D major to C major and dropped the melody down a full octave so that it could be played solely on the lowest tuned string (the G string) of a single violin as a virtuoso piece, with the rest of the string section and basso continuo playing a lot more quietly in the background. In the adverts however, the solo violin piece is played on piano but the tune, and the calming sentiment, remains the same.